Aldi is looking to align itself with British values with its sponsorship of Team GB athletes in the run up to the 2016 Rio Games. 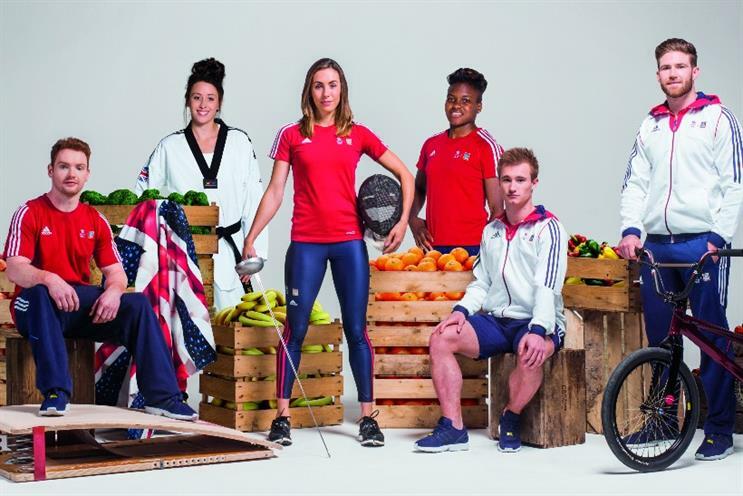 As part of the campaign, which aims to encourage the nation to eat fresh and affordable "Great British food", it has signed six aspiring Rio Olympic athletes, including the world’s first female boxing Olympic champion Nicola Adams MBE and Olympic gold taekwondo athlete Jade Jones MBE. It is launching an online TV platform, The Taste Kitchen, to share the healthy diets of its six athlete ambassadors to inspire shoppers and will support the British Olympic Association's schools education programme, with a new initiative – Get Set to Eat Fresh. The initiative aims to champion healthy eating among 25,000 schools nationwide. Aldi will also offer all Team GB athlete members £25 of vouchers to spend in store each month and predicts that over the next year, athletes will fill up on thousands pieces of fruit and veg including 81,395 bunches of bananas, 269,230 carrots and 177,966 apples. "Since we opened our doors in the UK in April 1990, we’ve worked hard to establish British roots, sourcing locally where possible and building long-term relationships with British suppliers," said Tony Baines, joint managing director of corporate buying. "Our partnership with Team GB will see us championing fresh, Great British produce and meat, which is readily available and affordable to support people in living healthy lifestyles." Bill Sweeney, CEO of the British Olympic Association, added: "As we reach one year to go until the Rio 2016 Olympic Games, the support of Aldi is vital in ensuring that our athletes heading to Rio are as best prepared for the Games as they can be." The retailer will also support Team GB’s Homegrown Heroes initiative, which aims to encourage the public to get behind their local Olympic hopefuls as they train hard for the chance to represent Team GB at the Rio 2016 Olympic Games.